In today’s episode, we practice vocabulary and phrases used during an exam exam in Spanish, but first! … I tell you a little bit about myself and why I started podcasting. Today’s Spanish lesson includes excerpts from the Spanish for Eye Care series. This series is part of both the Basic Medical Subscription and the full-access Medical Spanish Subscription at docmolly.com. Check out the Medical Spanish Subscription, which includes all the Medical Spanish lessons at docmolly.com from beginner to advanced. Check out the Basic Medical Subscription, which includes the beginner to intermediate series: Medical History and Exam and Spanish for Eye Care. 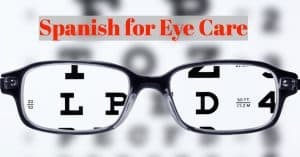 Sign up for this month’s premium audio Spanish lessons and listen to the entire lessons covering an eye exam in Spanish, as well as a Spanish grammar lesson on the Subjunctive. If you have listened to my podcast before, you know that I often record lessons with native-Spanish speakers and teachers. While preparing the lessons that I write and record independently, I research and consult with native Spanish-speaking teachers because I want to make everything I present as accurate and authentic as possible. I am currently taking lessons from a teacher named Elena at iTalki.com. Elena is from Columbia. She is great. Always prepared, professional and she specializes in medical Spanish. Special thanks to Christine Chmielewski, an RN and optometrist, who provides basic eye care in Guatemala through her organization Petén Health. Christine requested this series of lessons for volunteers working in Latin America, and she provided me with lists of phrases commonly used when providing basic eye care. Gracias por escuchar. The lessons offered at docmolly.com are a fun way to practice medical Spanish. They are not intended to provide medical advice. 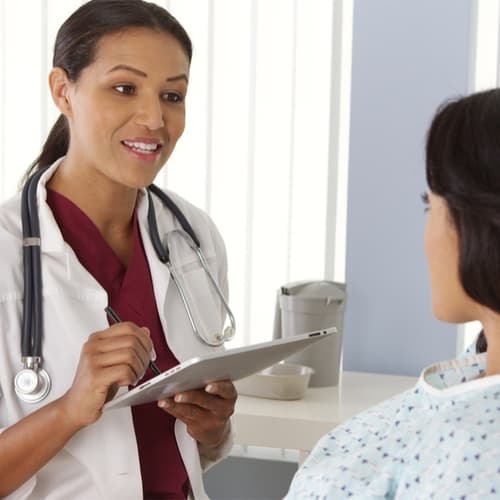 There is no substitute for a certified medical interpreter. © 2018 Molly Martin, MD. All rights reserved. Hi. Love these podcasts so far! I was wondering if you could cover COPD, renal / liver issues (CKD, liver disease function labs, hepatitis C or fatty liver), HIV care, and/or smoking cessation? IPV and trauma would also be a good topic. These are topics I run into daily at my clinic. Whitney, thank you for these great suggestions! I’m so glad you like the podcasts.